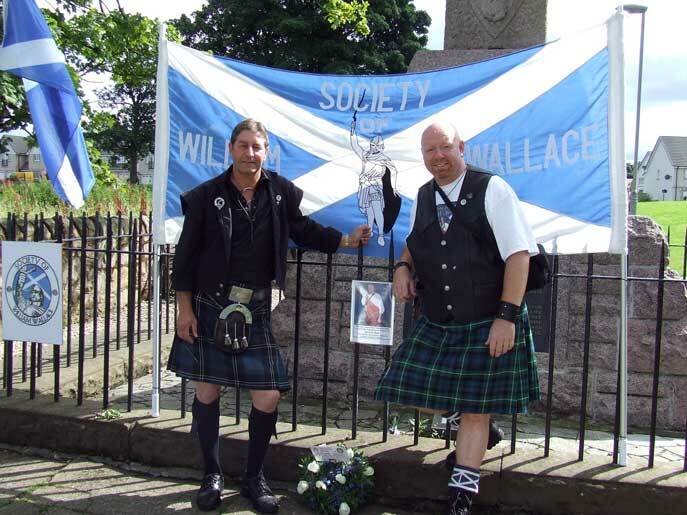 William Wallace is never far from our thoughts and it was with both joy and sadness that we commemorated our great national hero. 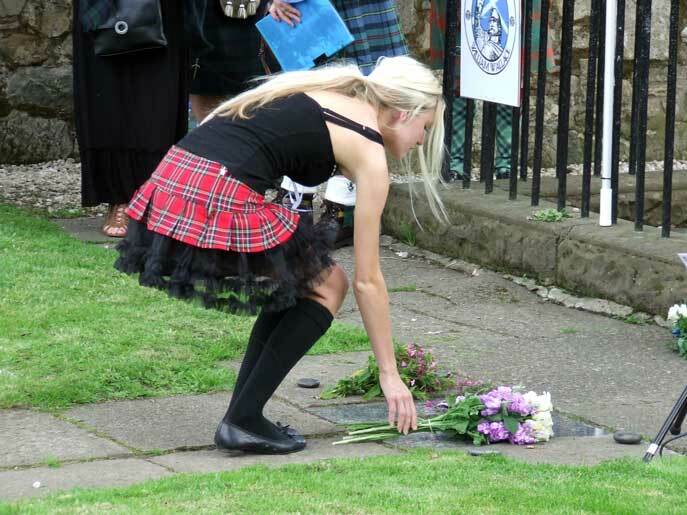 Joy because we never want to forget the contribution he made to Scotland's history and sadness because of the tragic ending of his life. A man who fought to free his country is a man most of us who feel the calling would have gladly taken up arms with to defend our country against the oppressor. 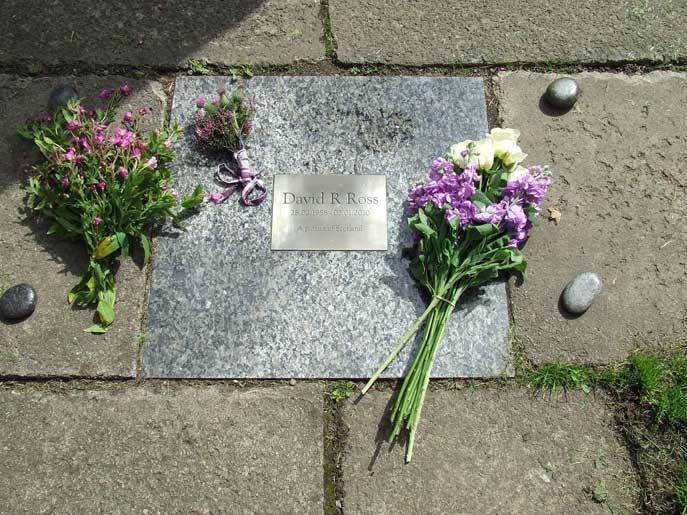 We also paid our respects to our dear friend David R Ross and we had our official unveiling of the plaque that we laid in honour of our dear departed friend. 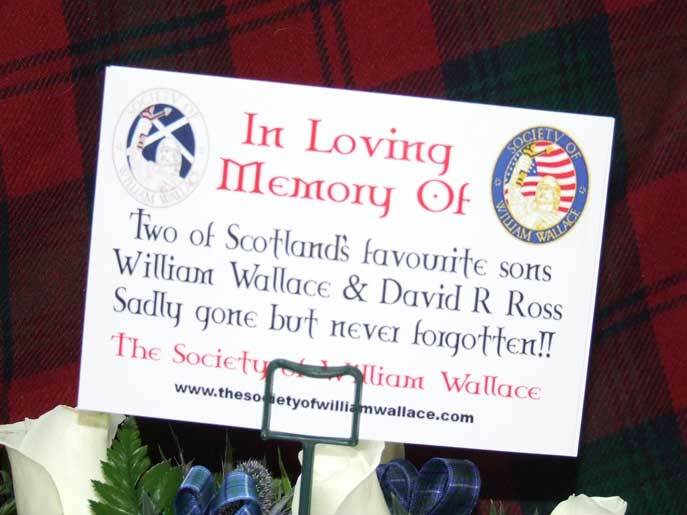 With us were some of his family which made it all the more special and poignant. 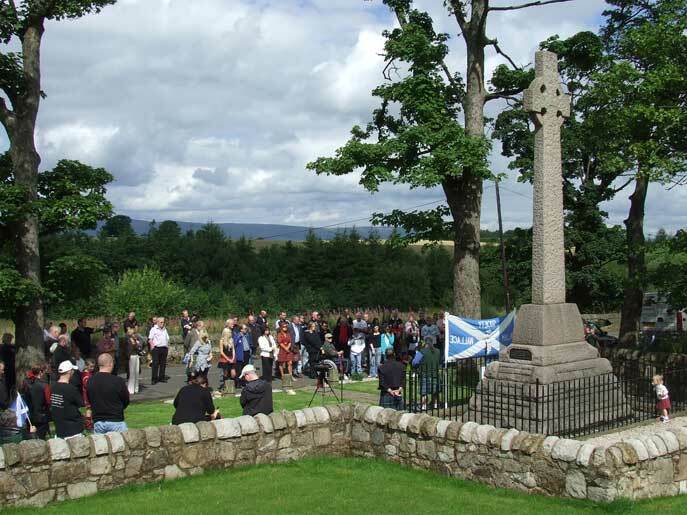 Andy Middleton who has done so much to improve the monument and surrounding area and who had taken it upon himself to organise this tribute to David was the only man befitting of the task in hand and did it admirably. 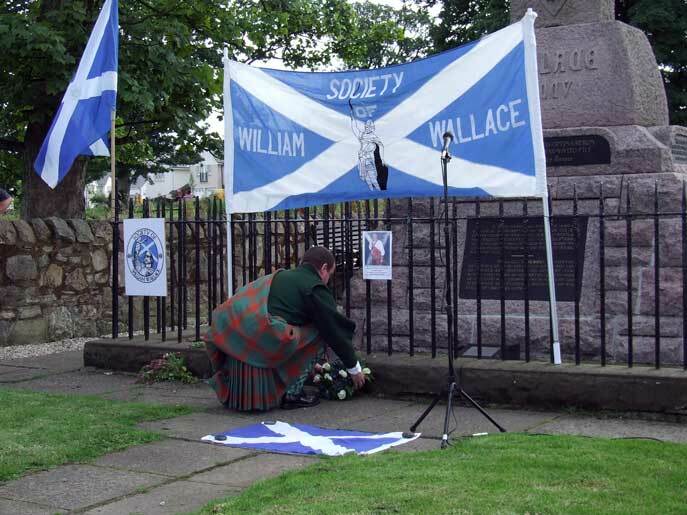 A wreath was laid on behalf of the Society by Andy Middleton who has done so much work behind the scenes at the monument and Kimberly Ross laid some flowers on her Father's plaque, very poignant stuff. 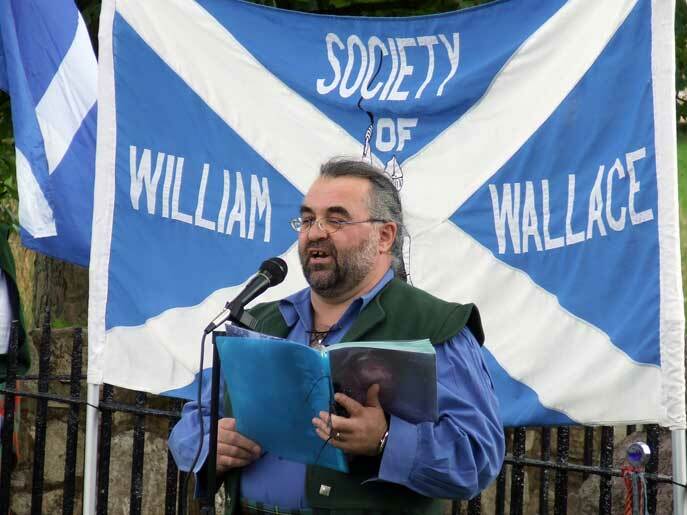 Duncan Fenton was our master of ceremonies and introduced our first speaker William Ballantyne, now this was William's first wee attempt at life as a Wallace day speaker but you wouldn't have known it, he made the podium his own and seemed to revel in the spotlight. William managed to put into words what everyone was feeling and even reminded us of a few feelings that we weren't thinking of. 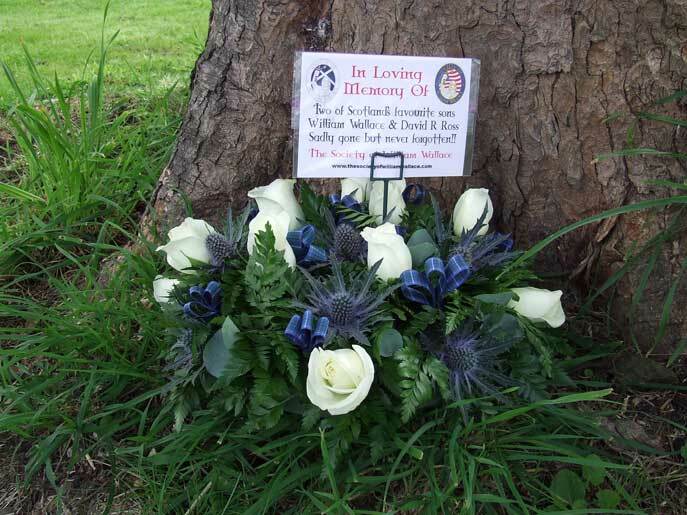 A heartfelt speech which left us in no doubt as to the reasons why we were here today. 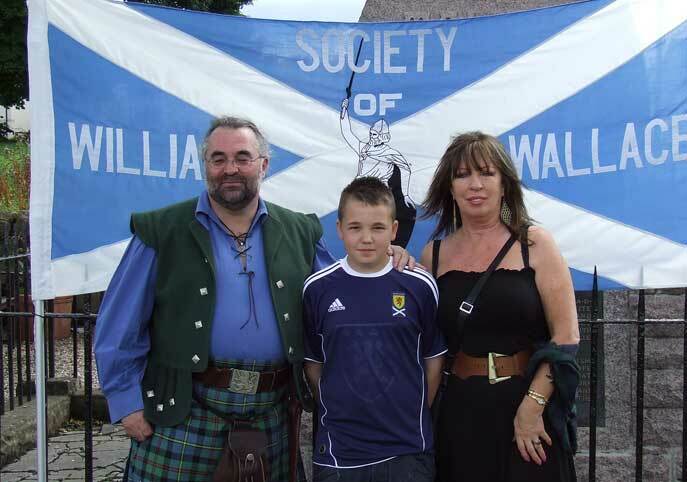 William's speech was first class and I think we have found a man in our ranks who can only help further the cause of our society and help us all achieve David Ross' dreams and hopes for his beloved Wallace Society, well done William. 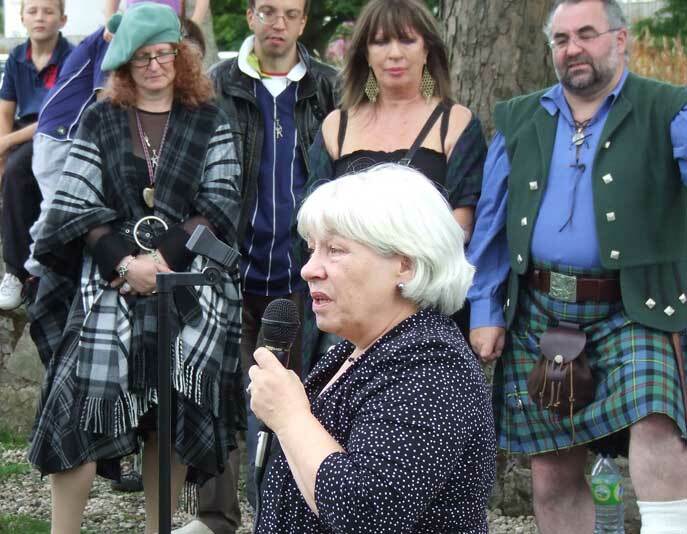 Next up to say a few words was Sandra White MSP. 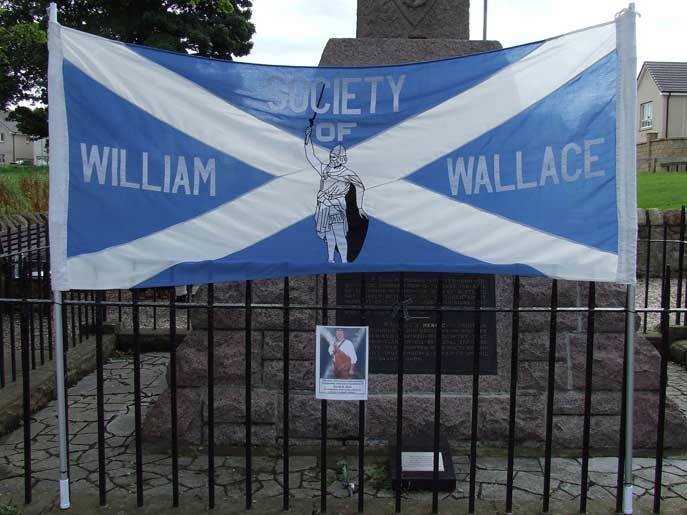 A nn used to be on the Society Committee and spoke passionately about her desire to see more recognition of not just the Wallace monuments but other sadly neglected monuments around the country and the lack of road signs and information boards etc. 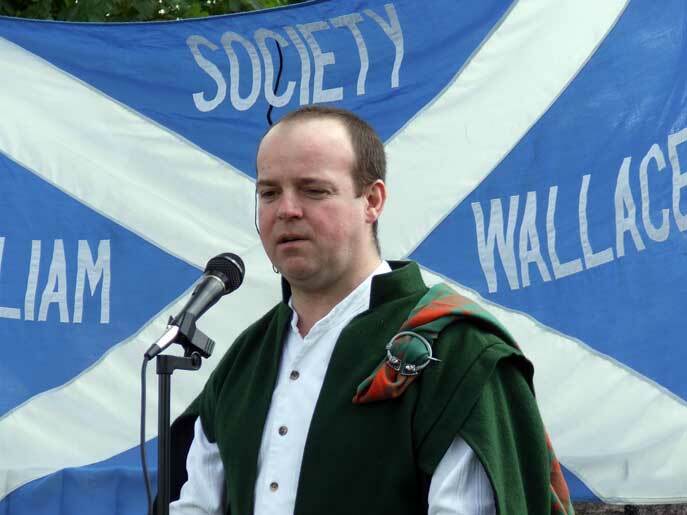 She promised to write a letter first thing on Monday morning to Alex Salmond about this matter and received a thunderous round of applause, here's hoping it has some effect. 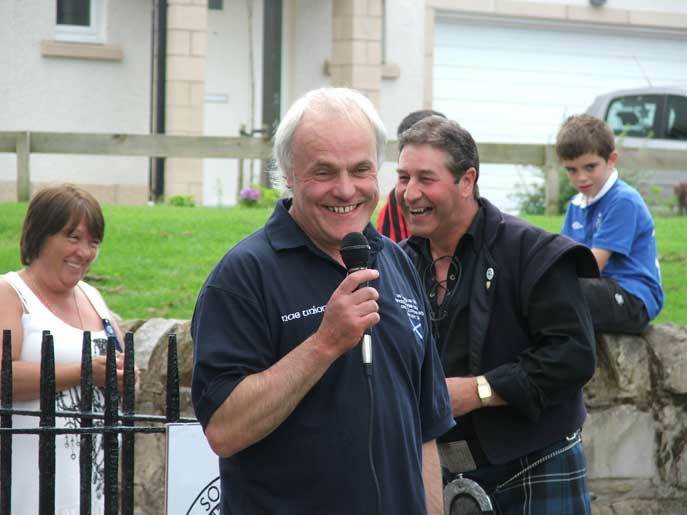 The afternoon came to a relaxed ending in the Auchinairn Tavern where we chatted the afternoon away with some old friends and some new ones, great day, great people, what more could you ask for, see you all at next years event, don't forget to bring ten of your friends with you.